Ukuleles are traditionally acoustic instrument and they don’t require any amplification to generate sound. However, electric ukuleles have gained some popularity recently and became as popular as acoustic ones. In order to be heard, your electric ukulele needs an amplifier that will make the signal that comes from your uke’s pickup louder. This, of course, is not only required for an electric ukulele. You can also install a pickup in your acoustic ukulele if you want to perform in front of an audience. A good amplifier is an all-in-one unit containing amp circuits which make the sound of your instrument louder, EQ, channel controls, and speakers that reproduce the amplified sound. All you have to do is plug in your uke into the amp and you are ready to rock. Setting up an amplifier is really easy and it can be done in no time. There are two types of amplifiers. The first type is a combo amplifier. This is the most common type of the amps and it contains everything you need in one box. The second type is a head/cabinet amplifier. This is the amp that has two parts. The smaller part of the amp is the “head” and it doesn’t contain any speakers. It’s just the controls and amp circuit. The second, bigger part is the speaker cabinet. As the name suggests, the cabinet contains the speaker (or more than one) and it has no amp circuits in it. These two are connected with a speaker cable and the cabinet gets the power from the head. These amplifiers usually have more power than combo amps. In most cases, the combo amp is a better option. However, if you want to create your own unique sound, you might want to look into some head/cabinet options. Amps can have one or more than one speaker in it. The biggest speaker is called the woofer or the driver and the bigger the diameter of a driver is, the better and more defined the bass response is. Smaller speakers are called tweeters. These are there to produce a treble but they also produce a little bit of bass. The best amps have both of these speakers in order to create a perfectly balanced sound. Clean headroom represents how much volume is left on tap before your uke sound becomes distorted. Because in most cases you want clean sound for your uke, it’s better if your amp has more headroom. For example, if you plug in your instrument into 40-watt amplifier and crank the volume all the way up, the sound will become distorted. However, if you plug it into a 100-watt amp, you will have a clean signal and more headroom at the same volume. When it comes to watts, these represent the amp’s power and loudness. More watts will give you more potential power which means that you will have a stronger sound and more room for your instrument’s signal to open up. Solid state amps are built with the use of transistors that boost the signal and produce a clean sound. Most of the amps for acoustic instruments are built with the use of transistors because the major goal is the clean reproduction. When it comes to tube amps, these are a bit more “old-school”. They use vacuum tubes in their circuits for signal boosting. It’s an old-school way to build the amp and these amps usually produce much warmer and more natural sound than solid state amps. However, the tube amps are more expensive, heavier, and it’s questionable how good they are for the ukuleles. They are excellent for electric guitars, but there are not many acoustic tube amps and they are not really common for ukuleles. Most of the amps will have their controls organized by channels. Now, a channel represents a set of controls that accept the single source signal. For example, if you plug your uke into one channel and your mic into another, you will have absolute control over volume and other aspects of each signal source. Most of the amps usually have two channels, while the mixers can have 4, 8, 12, and much more. Gain is basically a volume of the signal that enters the amp. The gain affects how optimized your input signal is for the subsequent controls and final sound. It’s usually controlled by a knob labeled as gain or trim. Most of the gain controls are linked to a preamp that boosts the soft signal. If you crank up the gain too much, the sound will become distorted. EQ represents the control over the volume of certain frequencies. There are 3 main frequency ranges that you can control on your amp – bass, middle, and treble. Bass controls the low frequencies that give your sound more “feel”. Middle has a huge span of frequencies and it can affect numerous things in your sound. Because of the huge span, the middle is also called a parametric EQ. it gives you a great control over your sound and it’s a very useful tool for fine tuning the sound. Treble controls the high frequencies and it’s what gives your sound that airy feel and “life”. 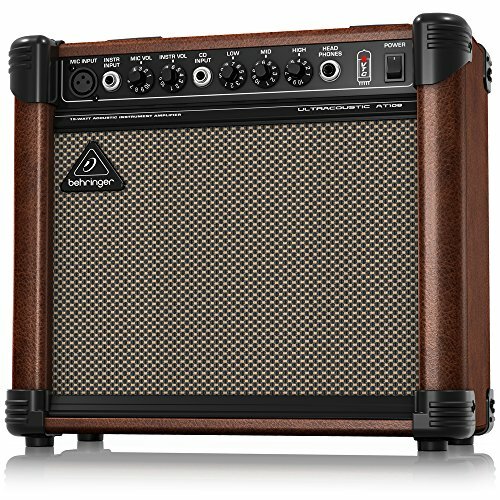 This amp is excellent for practicing and quite fun to use in casual jam sessions but, truth be told, it won’t really blow your mind. The amp is surprisingly loud for its size and the tone it produces is pretty decent. It does lack some bass but it’s a fairly clean and full tone. However, you can’t really expect an amazing sound from the amplifier this small and this cheap. 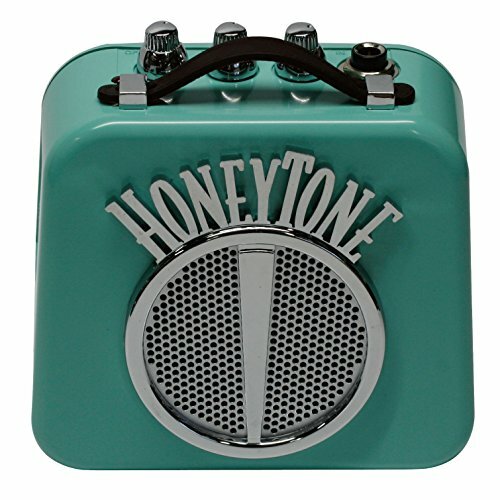 It has a built-in overdrive which is meant to be used with electric guitars but it can sound very interesting when utilized with a ukulele. However, most of the ukulele players prefer the clean sound. The device has a ¼ inch input for an instrument cable and a standard 3.5mm headphone jack. With the price under $20 this little amp is an excellent little device for practicing and playing around with your uke, but not really anything more than that. The Fender Frontman 10G is an excellent choice for ukulele players (and guitar players too) who are on a bit tighter budget but want to play intimate venues or practice with a little bit more power. It’s not really the professional amp, but it does its job nicely and it’s somewhere between serious amps and just-for-fun amps. Of course, you can’t really expect the big volume or too rich bass from it, but it provides a clean and full tone. It features various inputs so you can play it with your headphones or you can plug in an MP3 player and jam over your favorite songs. It has 10 watts of power which is not really enough for major performances but it is more than enough for practice or more intimate gigs. The settings are pretty basic and it’s very easy to use this amp. 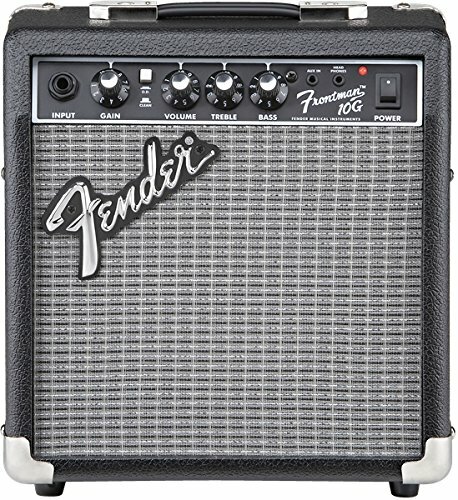 Overall, it’s a pretty decent little amp and the quality is that which you can expect from Fender. You really can’t get a better deal than Behringer Ultrasonic AT108 in terms of bang-for-your-money. This amp is specifically designed for acoustic instruments and it has that natural crisp acoustic sound that can compete with amps much more expensive than this one. It features an 8-inch speaker that can push up to 15 watts of power. This provides an exceptionally rich and full tone ideal for practicing sessions as well as some smaller performances. Other than instrument input, this amp also has an XLR jack that allows you to plug in a microphone. It also has one headphone jack so you can practice without disturbing anyone else. Additionally, there is an MP3 input so you can jam to your favorite tunes. Since it’s acoustic-only amplifier, the Behringer Ultrasonic AT108 doesn’t have any non-essential features and effects, leaving you with only basic volume and tone control. In our opinion, this is a very good thing because without any of those unnecessary effects you can have a focused and easy-to-use amp that is also quite affordable. The amp itself is a solid state one, but it features an excellent tube modeling software that reproduces the characteristics of vacuum tubes and creates that recognizable mellow and warm tone. By reproducing this tube effect through the software, Behringer managed to create the amp with all the tonal benefits of a tube amp with the price of a solid state amp. The Yamaha THR5A is a lot cheaper than the previous amp but the quality is still top notch. This amplifier is packed with a lot of useful extra features which means that the money invested in this product is well spent. The assortment of effects is mapped in two knobs which is very convenient and it offers you many ways to modulate your sound with delays, reverbs, etc. It also features a built-in tuner which is very nice, although most of the ukulele players prefer clip-on tuners. The amp features an array of microphone models that allow you to simulate the characteristics and the sound of five different professional microphones. This is the great way for you to capture that warm and rich tone that microphone provides without any inherent issues of mics such as feedback. It also includes THR software that enables you to edit and tweak until you get the exact tone you are looking for. 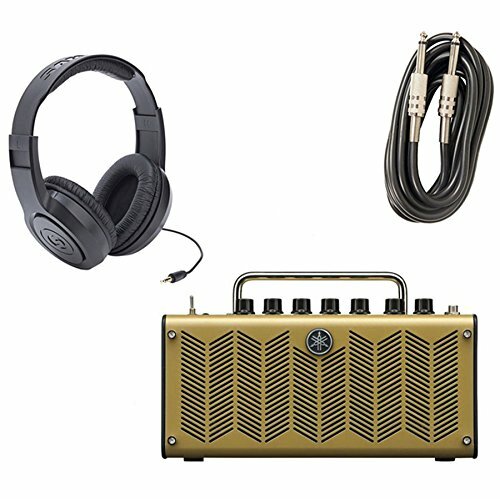 The Yamaha THR5A features a USB port that allows you to plug the amp directly into your computer and use it as a recording interface. To help you with this, there is Cubase AI software included in the package. The Cubase AI is basically a stripped down version of professional Cubase software but it’s enough for basic recording, mixing, and editing. Lastly, the outlook of this amplifier is exquisite. It has a metal casing and a retro look to it. It’s a little amp with a big personality. The Fishman Loudbox Mini is a serious ukulele amplifier and it’s perfect if you want an amp that is great for both practice and smaller performances. The design is pretty simple and it’s more focused on the tone, rather than on additional features that are questionably useful. This amplifier has an incredible presence and it has no problem filling up the room with sound. It’s incredible how amazing this little amp sounds. It has 60 watts which is sufficient enough for smaller casual venues. This amp Is one of the pricier amps on our list but it’s well worth the money and it’s an excellent investment for ukulele players who want the amp that makes them sound like a pro. 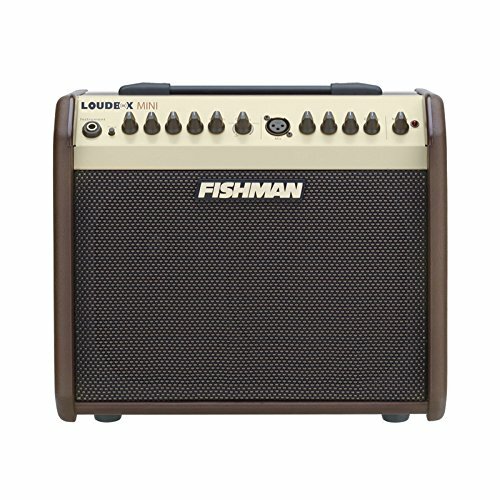 The Fishman Loudbox Mini meets the needs of most of the ukulele players, but if you require something more powerful, Fishman offers some stronger versions of the Loudbox so you can look into those. The Loudbox Artist and Loudbox Performer are 120W and 160W versions of this amp and they also offer a couple more inputs. As you can see, the price of the ukulele amps can range from just $20 to several hundred and the quality varies accordingly. The most important thing you need to consider is what you will be using your amp for. In our opinion, the best amp on this list is the Yamaha THR5A. It’s a small, yet very powerful amp. It’s packed with useful features and effects and you can really create your own unique tone with it. You can also use this amp as a recording interface and it comes with the software you need for recording. All that for around $200. In our opinion, that’s a good deal.